Making the connection between Pablo Picasso, Joan Miró and Alexander Calder. This exhibition showcases nearly 50 works by three of the greatest twentieth-century artists. The selections come from The San Diego Museum of Art’s permanent collection along with several recent or promised gifts. With works of art by Pablo Picasso, Joan Miró, and Alexander Calder on display through Dec. 6, the exhibition complements Calder Jewelry, which is on view at the Museum through Jan. 3, 2010. The exhibition highlights loans from private collections and a number of recent and promised gifts to the Museum including a major oil painting by Picasso, Femme assise, 1949, a promised gift from a private collection; an untitled drawing by Picasso, 1971, a recent gift from Helen and Sol Price; the Miró painting, Femme, oiseaux, constellations, 1974, also a gift from Helen and Sol Price; as well as a number of prints by both Picasso and Miró, given in recent years by George C. Kenney and Olga Kitsakos-Kenney. Picasso, Miró, Calderalso includes a diverse selection of works on paper including prints, drawings, and paintings rarely on display due to the light-sensitive nature of these works. In addition, the exhibition celebrates the return to view of several important sculptures such as Miró’s monumental bronze, Solar Bird, and the recently reinstalled Spinal Column by Calder at the front entrance of the Museum. 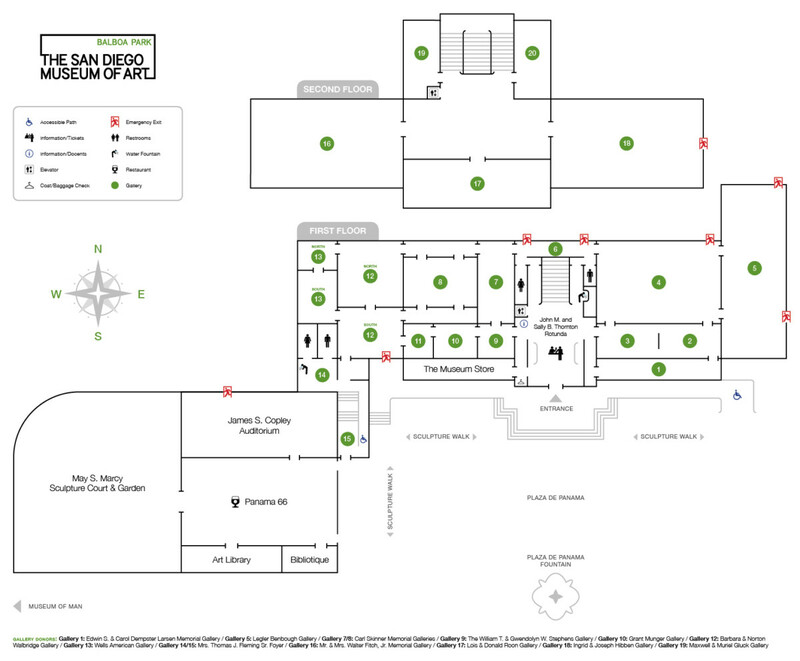 The San Diego Museum of Art is planning a full reinstallation of holdings from its modern collection during the course of 2010.